Shopping is central to any tour of Kolkata, especially for anyone who has spent time in the West Bengali backcountry, where the selection of merchandise pales in comparison. 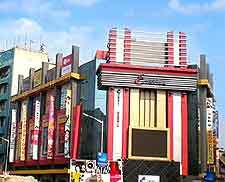 It is possible to charter a guided shopping tour of Kolkata, which is an excellent way to see the best handicrafts workshops without fumbling with routes and itineraries. Just make a point of booking through your hotel desk to avoid the commission-greedy touts. Kolkata is an important hub of handicrafts in this part of India, and there are several workshops around town where tourists can buy textiles and handicrafts direct from the people who made them. Saris, carpets and leather goods are particularly popular, and bargains abound. The Central Cottage Industries Emporium is run by the government. 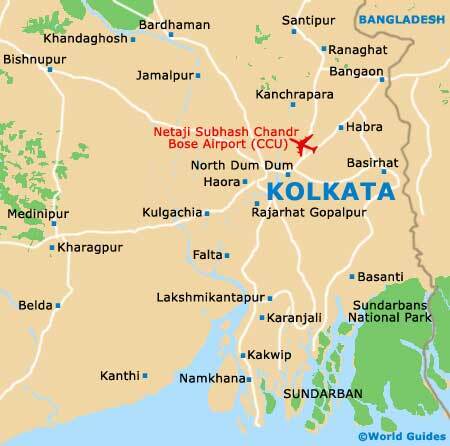 It is easy for tourists to visit given its central location within the Chowringhee neighbourhood. Other options include Hugli, Bengal Home Industries and Khazana, all of which offer a comprehensive selection of hand-made goods. When shopping in reputable venues like these, higher prices generally indicate better quality and sounder working conditions. In a city like Kolkata, where poverty is such an issue, it is comforting to know that the money you're spending ends up in the hands of those who need it. New Market (close to Sudder Street's hotel district) is one of the most popular places to shop in the city, being formerly known as the Sir Stuart Hogg Market. It features handicraft curios, tailors, and street-food vendors, and it's easy to lose an entire day wandering about here. Kolkata is also carving out a reputation as a designer fashion hub in India, and there are several prominent local designers based in Chowringhee. At least a dozen major shopping malls are in the city, most located in the Esplanade area or north-east of the city centre in Salt Lake City. The Metro Plaza, South City Mall, Metropolis Mall and City Centre are a few of the most popular. Complexes like these operate large-scale department stores and stock Western brands and sizes.